The persons who state that they are good with their finances are anomalies. It is quite difficult at the present not to have debts;actually, studies show that around 75% of people carry some form of debt. Considering that most of the people start gathering debts since their student years, it is not something surprising that they owe money even if they have a full-time job. In the majority of cases, the easiest alternative is to borrow the sum you need from your family and friends. But we all know that getting into debt with a close friend is a complicated and difficult thing especially when you are not able to repay them the sum you owe. If you have in plan to ask a friend to lend you money you have to make sure that you will not have problems in paying them back. In addition, you should discuss from the beginning what will happen in case you will not be able to repay them and if this will affect your relationship. There are times when it is not worth to put this strain on your relationship. But if you have already borrowed money from your friends here are some tips to help you manage the situation. All your income should have a job. You should not allow yourself to spend money without having a plan. The moment you have fun money is the moment when you can ruin yourself because you will spend money you do not actually afford. You should spend your income in a responsible way, and you should stay away from the situations when you spend it on fun things and entertainment. If you want to go to movies, concerts and parties then you should make an entertainment fund and decide a small sum you place monthly in that fund. It should consist of money you save from other things like buying Starbucks coffee and expensive fragrances. If you want to show your friends that you will repay them the sum they lent you then you should respect your money. And you can start doing it by no longer using credit cards. They are an awful thing for a person in debt and you should not have them in your purse. Every month you should create a financial plan because it will offer you a perspective on how you will spend your income. If you have a sum with no purpose then you should save it and place it in the bank account designed with the purpose to repay your friends. You are an adult who makes their own money;therefore, you know how much you will need to pay for your rent, for the Internet, for your phone and for your groceries. If you have a monthly plan, and you stick to it you will have leftover money you can save to pay your debts. If you are determined to make savings then you should be specific of their purpose. When you have a goal, you can determine the amount you will save monthly. Do not just spend money because it’s sitting around. Having a goal will help you stay organised and repay your debts faster. If you will not have goals, you will end up finding yourself in the situation of not being able to pay what you owe. If you will know exactly what the purpose for saving is, you will never spend money on things you do not need, or at least you will not spend money you need to repay to your friends. In order to understand what plan you need to adopt you will have to understand what the extent of your financial problems is. Will your debts become a factor in running your relationship with your friends? You will be surprised to find out that financial problems are the main factor for multiple relationship struggles, from divorce to end of friendships. But this factor does not come alone it comes together with the lack of communication. If you owe money to your friend and you do not share with them your situation they do not know what you are dealing with. Money problems often make people panic, become stressed and they destroy relationships and individuals. But this does not have to be your situation. 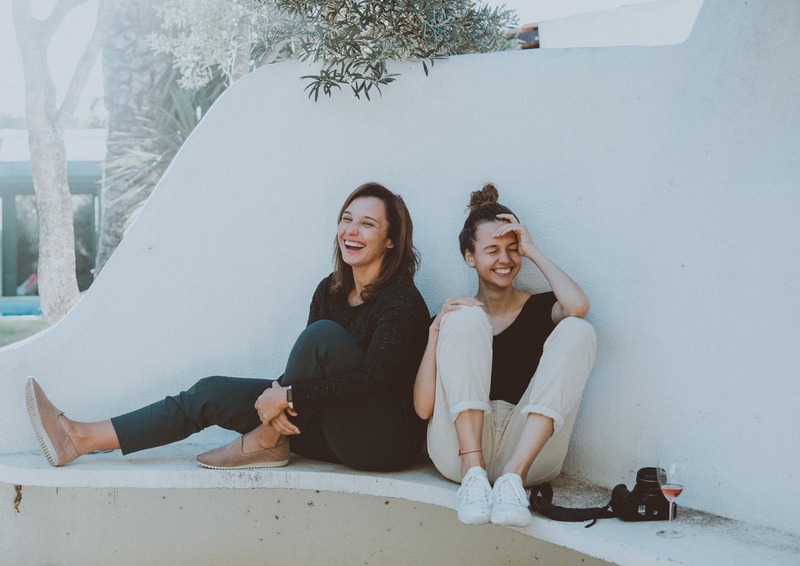 If you have difficulties in paying your debt to your friend, you can make a voluntary agreement, also known under the name of a Scottish Trust Deed. It will help you pay the money you own by creating a plan for a 4 years period. If you need professional help, you should check this page, it will offer you all the details you need to understand how this solution work. Only because you owe money to your friends it does not mean that the situation has to get ugly. They can wait for you to repay the sum according to a plan. It is their interest to work out a deal because at the end of the day, they are your friends and they want to help you. You may say that this piece of advice is the same one with making a financial plan. Well, it is a little bit different, especially if you owe money to multiple persons. Sometimes people forget about their debts because they borrow money from their friends and it is no bank sending them notifications. Your friends may be anxious about discussing this subject and you may reach a point when it will disrupt your situation. You need to keep track of the sums you own and to whom. If for you this means writing it in your agenda then this is exactly what you need to do. You can go a step further, and write it on a piece of paper and put it on your fridge. It may sound silly, but you do not want debt to ruin your lifetime relationship with your friend. Whatever happens, make sure you discuss with your friend and share with them your financial situation, it will help you separate your friendship from your financial relationship.